What is Glass even Made Of? Glass is all-pervasive in our modern culture. It became so important because it is one of the most useful materials on the planet. It is transparent, strong, and hardly ever reacts to chemicals. We’ve formed it to function as windows, jars, bottles, and more. But what is glass? We’ve also turned it into shields for our personal possessions and our bodies while we travel in our automobiles. Windshields. While this material is so common, many people do not know what exactly it is, what it is made of, or how it is created. So, let’s eliminate some of the mystery. Scientifically speaking, glass is called an “amorphous solid.” This means it is neither liquid nor solid, but something between the two extremes. It is rigid, with a set shape, like a solid; but, at the molecular level, it possesses the chemical structure of a liquid. In a solid, the molecules are arranged in crystalline rows and columns; ice would be a good example. What is glass doesn’t sound like a simple question anymore does it? When glass goes under a microscope, though, we can see that there are irregular and random molecules scattered in no seeming pattern throughout the entire thing. So, in simplified terms, glass is comprised of disordered molecules that are rigidly bound. Believe it or not, glass is liquified …sand. When sand is heated to extreme temperatures, it no longer looks like the grainy, pebbly mixture you can find on any beach along any ocean on the planet. When it gets so hot, sand melts and turns into a gel-like liquid. Once this liquid is formed into the desired shape and cooled, the glass assumes its hardened, solid state. Now, while sand is technically melted glass, do not get it into your head that you can just boil some sand on your home stovetop. Sand’s melting point is 3090 degrees Fahrenheit. For comparison – when the united states tested nuclear bombs in New Mexico in 1945, the desert sand was turned to glass. Thankfully, we don’t have to explode atoms to make glass. That’s just an interesting side effect of a dreadful invention. Glass today is most often made in factories. It is mixed with waste glass particulates, soda ash, and limestone. This mixture is then placed into a furnace. The soda ash reduces the sand’s melting point, but makes it so that glass would dissolve in water. The limestone reverses that process, and solidifies the glass. Once the mixture melts down to its liquid state, it is poured into molds to cool, where it becomes the glass we know and use in so many applications every day. 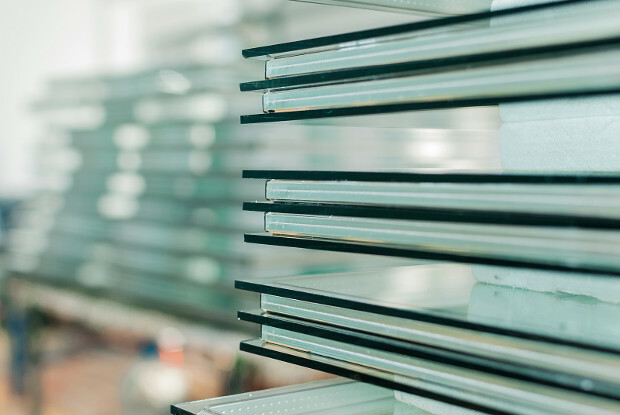 The glass we use in automotive applications is made in much the same way, though there are a few modifications to the manufacturing process to produce windshields. These extra steps and materials increase the strength, durability, and safety of windshield glass, and make it so that we can drive our cars more safely on the roads. For a full discussion of that process, check out this post!